Port-based compliance and enforcement measures for fishing and fishing-support vessels are a relatively cost-effective element of a monitoring, control and surveillance (MCS) system and, as such, are attractive and effective. The main cost is related to establishing and maintaining an adequate, well-trained fisheries inspectorate with good levels of communication between national agencies, including customs and port authorities, and cooperation with regional and global bodies. 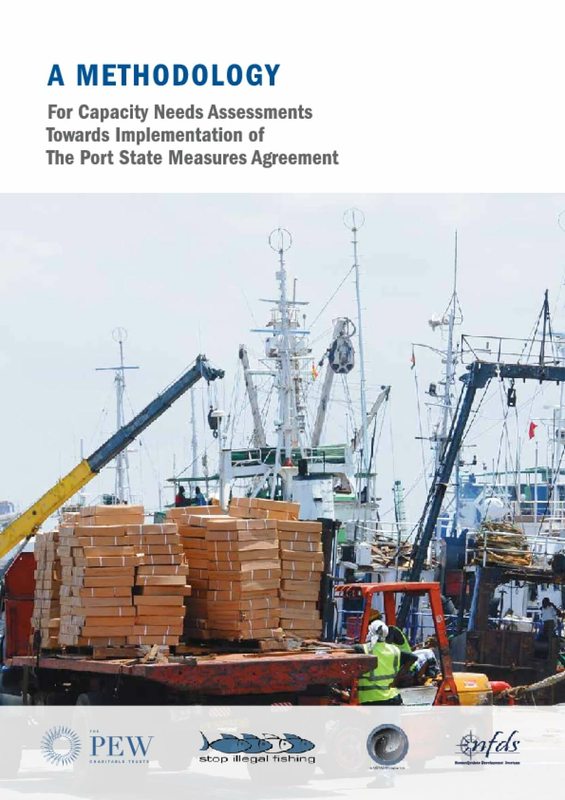 This core capacity requirement, both in human and institutional terms, received considerable attention during negotiation of the recently adopted U.N. Agreement on Port State Measures to Prevent, Deter and Eliminate Illegal, Unreported and Unregulated Fishing (PSMA). Developing countries were especially concerned about the resources required to build this capacity. It is for this reason that The Pew Charitable Trusts has been working to develop a simple and robust methodology that can determine the specific and real capacity-building needs of each country, and provide a platform for the development of a capacity-building plan which, when implemented, would enable ratification of and effective compliance with the PSMA. In cooperation with the New Partnership for Africa's Development (NEPAD), through its Stop Illegal Fishing Working Group, and six African countries, The Pew Charitable Trusts has supported the development of a capacity needs assessment (CNA) methodology, which is part of a set of tools that The Pew Charitable Trusts has committed to help develop to ensure that States have the necessary tools at hand to effectively implement the PSMA, and can move quickly towards closing all ports to the world's fleets engaged in illegal, unreported and unregulated (IUU) fishing.